This set of Magnetic Board Visuals will complete the Life of Jesus series that I recreated from Cathy's teaching visuals. Cathy uses these visuals with a magnetic board. She cuts the pieces out, numbers them on the back, laminates them and adds thin magnets on the back. Put your title up first, then add and take away each visual as you teach the lesson. But, when I use these, I just keep adding more to the board. I do not remove them as I teach. These can also be used as visuals alone, a flip chart, and/or a bulletin board. These can also be attached to large craft sticks and held up while you are teaching. 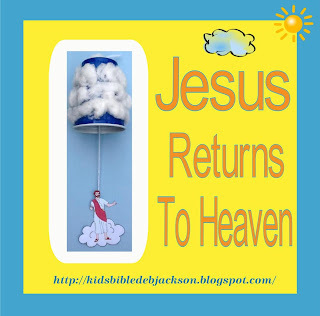 Click here for the lesson, ideas and everything you need to teach Jesus Returns to Heaven. This is an older post that has more ideas and printables. 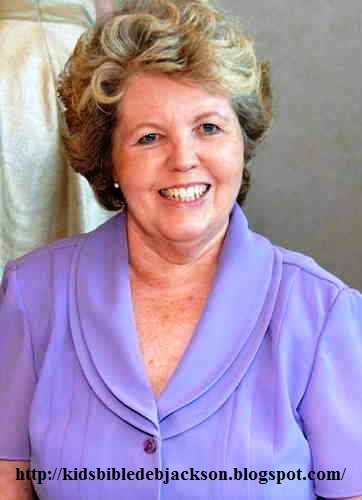 Jesus is Crucified and Lives Again!